Fully compatible with PlayStation VR. Capcom announced Resident Evil 7: biohazard for PlayStation 4, Xbox One, and PC during the Sony E3 2016 press conference. It will launch on January 24, 2017. The next major entry in the Resident Evil franchise, Resident Evil 7 sets a new course for the series as it “opens the door to a trulty terrifying horror experience.” The title shifts the series to a first-person view in a photorealistic style powered by Capcom’s new RE Engine. The entire game will also be playable in PlayStation VR. Resident Evil 7 is set in modern day rural America, after the events of Resident Evil 6. A PlayStation Plus-exclusive demo, Resdient Evil 7 Teaser: Beginning Hour, is available today on the PlayStation Store (it is coming to other platforms at a later date), and portrays the events leading up to the main game and ties directly into the Kitchen PlayStation VR tech demo first shown at E3 2015. The teaser demo sees the player awaken inside a dilapidated cottage on an ominou splantation mansion. Get the trailer and fact sheet below. View the first screenshots at the gallery. Resident Evil 7 biohazard sets a new course for the Resident Evil series as it leverages its roots and opens the door to a truly terrifying horror experience. The new era of horror is scheduled for release on PlayStation 4 (the full gameplay experience will also be available via the included PlayStation VR Mode), Xbox One and Windows PC (Steam and Windows 10 Store) across North America and Europe on January 24, 2017. 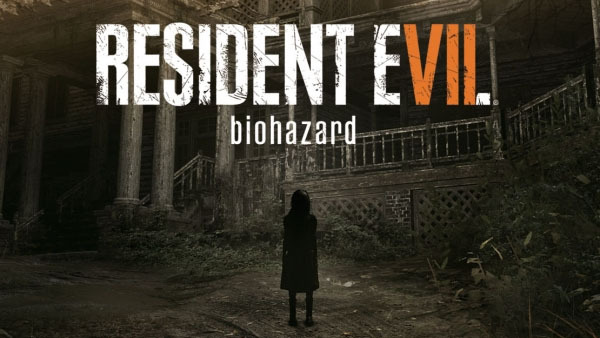 Set within a sinister plantation mansion in modern day rural America and taking place after the dramatic events of Resident Evil 6, players experience the terror directly from the first person perspective for the first time in the Resident Evil series. Embodying the iconic gameplay elements of exploration and tense atmosphere that first coined “survival horror” some twenty years ago, Resident Evil 7 biohazard delivers a disturbingly realistic experience that will define the next era in horror entertainment. Building upon on last year’s “KITCHEN” tech demo for PlayStation VR, the events in “Beginning Hour” see the player awaken inside a dilapidated cottage within an ominous plantation mansion. Can players make it out alive?